It was in 2013, on my return to Cairo University after a couple of years as a visiting scientist at UCSD, that I met Amal for the first time. Amal was a fresh master’s student who just finished her preliminary graduate courses and was looking for a project. She holds a BSc. 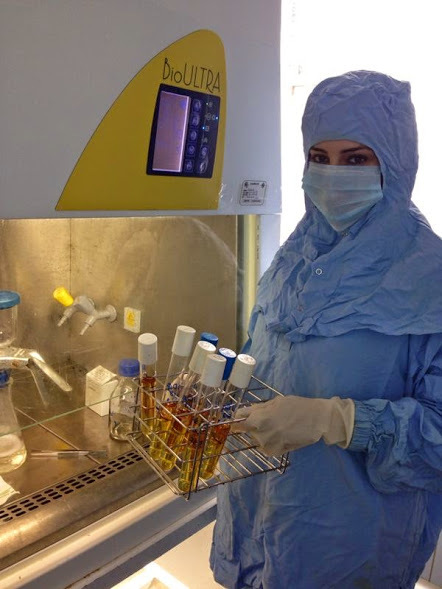 in Pharmacy and works as a quality control microbiologist in a drug factory. Her job was to perform routine tests on all pharmaceutical products to guarantee they fulfill the required standards: that they are free of pathogens and have a total bacterial count as recommended by the international and local regulatory agencies. As for me, I was in the process of reintegrating into my home institution, full of enthusiasm and hope, after a very exceptional and fulfilling experience at the laboratory of Bernhard Palsson (a world pioneer of microbial systems biology and genome-scale metabolic reconstruction). I was looking to use my systems biology and genomics experience in a microbiology department in a pharmacy school! So, ideally a project that relates to drug-microbe and drug-microbiome interactions was quite exciting; but my thinking was mostly directed to how gut and skin microbes may affect the drugs and nutrients we consume. However, my first meeting with Amal brought an unexpected twist to this scope. She was working daily on culturing bacteria from different parts of the factory clean rooms, swabbing workers’ hands, gloves etc. ; sampling the air, surfaces, and filters; and so on. The question she had was how far does the antibiotic powder, which was almost everywhere in these clean rooms, affect the composition and resistance of microbes there. Meanwhile I was thinking of a Jack Gilbert’s then-new projects: the hospital and home microbiome projects. Jack was asking a clear question: who affects whom: The home/hospital dwellers or the environment? I recall having a discussion with him on whether the drug factory has been studies before, and neither of us found clear precedents. 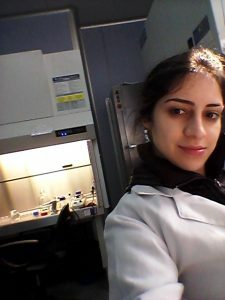 To make a long story short, we decided to go for both ideas: checking resistance by traditional culture-based methods & PCR, which Amal mastered AND doing some exploration of the microbiome of these machines. Problem is: we had no funding whatsoever for such an effort, even with the dropping costs of high-throughput sequencing. One detail to be mentioned here: it has been an established policy (by FDA and similar local agencies) to separate antibiotic-producing plants/rooms from non-antibiotic-producing ones. Even within an antibiotic-producing factory, there was a strict “segregation” policy to avoid cross-contamination and possible cross-resistance. So, the design wasn’t that hard: we will sample a couple of antibiotic-producing rooms (at separate plants) and compare them to a control non-antibiotic-producing one (we chose acetaminophen here as it was produced by the same factory under similar conditions). With no funding we had no options, but to take a leap of faith. We just collected the swabs and waited for options. 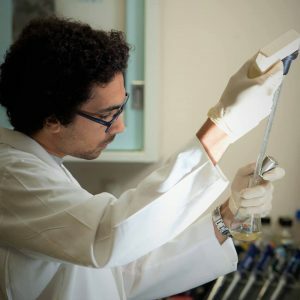 We didn’t have to wait long as we were lucky enough to be visited by Alex Mira who came to share his exciting work on oral streptococci in a conference in Alexandria, Egypt, then visited my institution as well (Faculty of Pharmacy, Cairo University). Alex was kind enough to offer supporting our pilot experiment by sequencing a few swabs. We had no intention, at that time, to build a story based on a handful swabs but wanted to have a rough idea of what we should be doing next. However, we were happily surprised of the outcome, thanks to the help of another Master’s student who loved to play with QIIME even after leaving my lab to Lubbock Texas for his PhD. 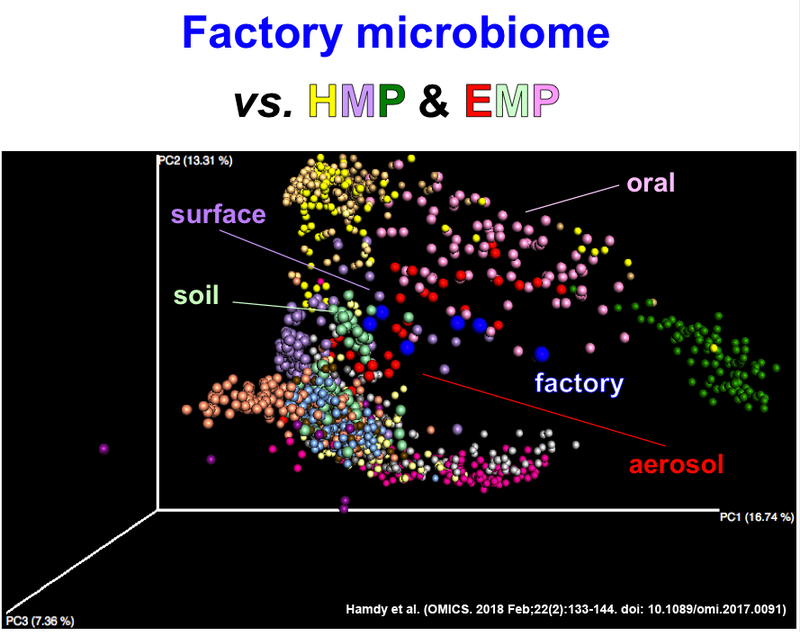 The student (Moamen, the second author on this paper) helped us comparing six microbiome samples from that factory to representative data from the Earth Microbiome Project (EMP) and Human Microbiome Project (HMP) [PCoA figure below], and BINGO! We were really surprised that these few samples could still tell a story about some interplay between water, personnel, and the dust and aerosol they bring to the rooms). Machines that were in contact with water had indeed an “aquatic signature” (most notably Legionellaceae, Lachnospiraceae, and Chelatococcusand). The impact of dust (clustering with EMP soil samples) and personnel (clustering with HMP oral and micorbiome) was clear. Interestingly, the thermophilic genus, Meiothermus, was detected in instruments in which heat was used. Another typical “surface” signature was also detected. So the pilot study gave us this concise message, and will hopefully convince some local and perhaps international funders of the importance of monitoring the factory environment, which has no less effect on our health than the hospital environment. Acknowledgment: I am grateful Jonathan Eisen for inviting me to share the story, to Alex. Mira for sequencing the samples, and to Jack Gilbert for inspiring discussions. This work was in collaboration with Prof. Dr. Magdy A. Amin and Dr. Mona T. Kashef from my department. 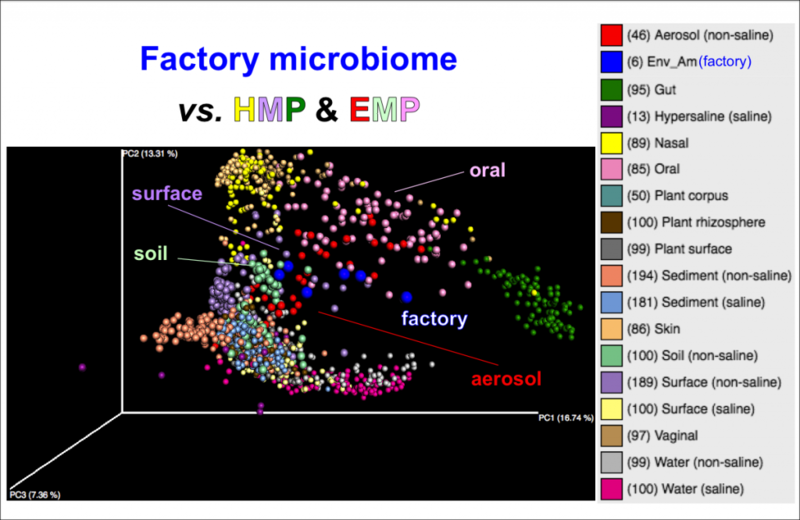 PCoA plots showing six factory microbiome samples vs. randomly chosen samples from the HMP and EMP.